The British Rorschach Society aims to develop a leading position in the United Kingdom in relation to training, education, practice and research with the Rorschach. To facilitate exchanges amongst specialist practitioners and researchers with an interest in the Rorschach. To promote the efficiency and usefulness of the Rorschach by establishing high standards of professional education, training and research. 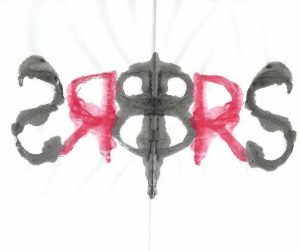 Organise a network of practitioners and researchers interested in the Rorschach. Disseminate to the psychological community the empirical research findings available for the Rorschach. Promote the teaching and training of the Rorschach. Provide a forum for practitioners and researchers to exchange clinical and research ideas concerning the Rorschach. Ensure that members using the Rorschach adhere to rigorous and scientific standards in the application of the Rorschach. Bring together and generate debate regarding the different approaches for scoring and interpreting the Rorschach. Represent practitioners and researchers in the Rorschach at international level. The British Rorschach Society is composed of full members, honorary members and associate members, who comprise the Assembly of Delegates. Full members and honorary members will have a post-graduate degree in psychology. Associate members will have a graduate degree in psychology. Honorary members will be invited to join the British Rorschach Society in recognition of their scientific contribution and academic contributions, at the proposal of the Executive Board and following election by the Assembly of Delegates. Only Full members who have paid their membership fees will be eligible to vote at meetings of the Assembly of Delegates. Applications for Full and Associate memberships will be agreed by the Executive Board. In the event of a rejection of an application for membership, neither the Executive Board nor the Assembly of Delegates is bound to give their reasons. e) On the decision of the Assembly of Delegates, voted by a majority of attending members, in relation to a breach of the by-laws or of ethical or professional rules. The British Rorschach Society is administrated by an Executive Board comprising a President, Vice-President, General Secretary and Treasurer. The Assembly of Delegates meets once a year. The Executive Board can convene an Extraordinary Meeting of the Assembly of Delegates. The members of the Executive Board are elected by the Assembly of Delegates by secret ballot. Immediately following election, it is expected that the member of the Executive board will become active in his/her elected role. Members of the Executive Board are elected for 2 years. Members of the Executive Board can be re-elected for 3 terms in total. Finances of the British Rorschach Society include the annual membership fees. The annual membership fees will be decided by the Executive Board. The annual membership fee is obligatory for all members, except for honorary members. The revision of the bylaws for theBritish Rorschach Society can be proposed by one third of the Assembly of Delegates. Any revision of the bylaws has to be voted by a majority vote at the annual meeting of the Assembly of Delegates. The dissolution of the British Rorschach Society can be pronounced by a majority vote at a meeting of the Assembly of Delegates.